Island Retreat II BEACHFRONT stunner can be your money maker! 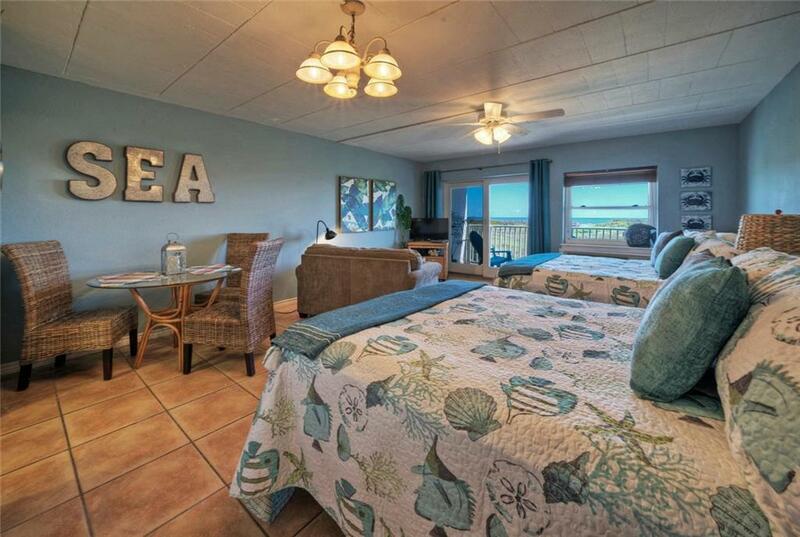 This adorable 2nd floor studio condo has the Gulf front views you've been craving at a price you can afford! Just the right size for weekends, but roomy enough for six! Comparable units gross $29k/yr+!! & IR allows 3rd party mgmt for maximum income! Spacious open concept floor plan has walk-thru galley kitchen that leads into great room with AMAZING Gulf views. 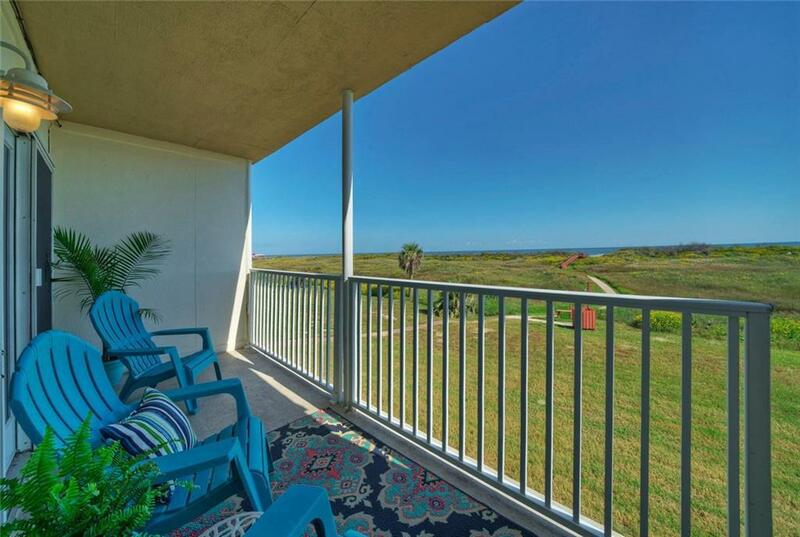 Sliders open to oversized covered patio boasting afternoon shade & Gulf breezes all year long. 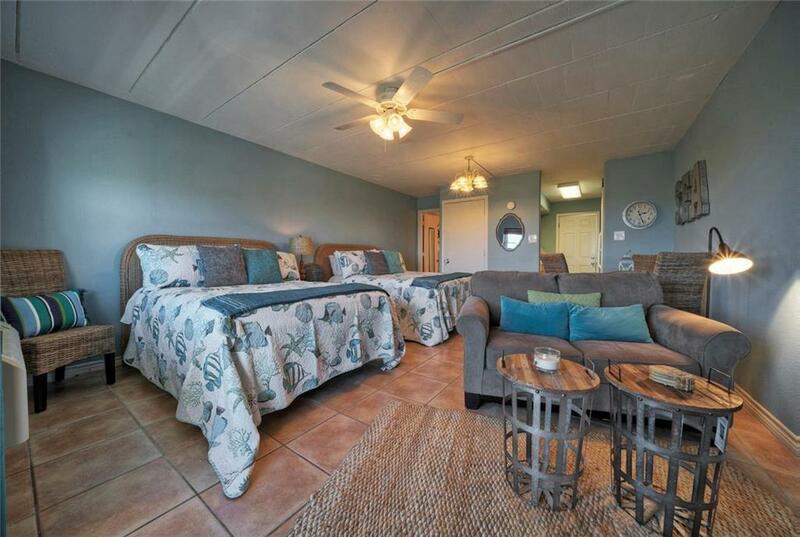 Offered fully & cutely furnished with 2 queen size beds, plus separate LR loveseat & dining area. 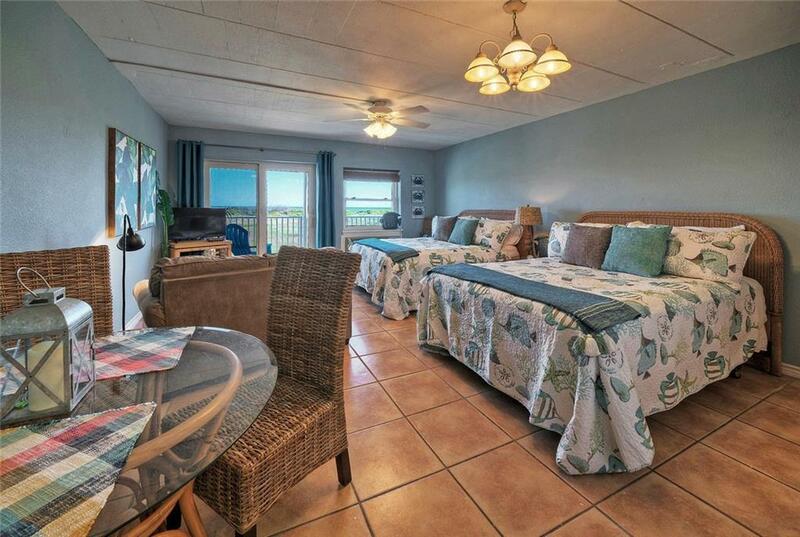 Beach-friendly finishes include tile flooring throughout plus hardwood cabinets & white appliances. IR complex has all the amenities: 2 sparkling pools, multiple beach walkovers (one is just steps away! ), playground, community grilling area, more! Make this Gulf-front cutie your personal coastal oasis. Invest in the beach! HOAs just $268/mo. Insurance $1699/yr. 2018 taxes $1938.